What happens after you meet a bride? What do you do after meeting a potential client? Q: What is your workflow after meeting a bride? Do you give them an estimate or a detailed proposal? Well, if it’s taking more time than you’re willing to commit before booking a client, then the answers is YES! and allow you to take complete control over the booking process, planning process and beyond. Over the past 15 years I’ve developed my proposal template so that I’m spending no more than 2 hours on the pre-qualification, consultation and proposal writing process. You can sign up for my FREE e-mail course “How To Book More Weddings More Quickly” HERE where I share some of my best tips to booking the right clients more quickly. I do not create recipes before booking an event. If I’ve “never made something like this before” I will create some recipes to determine a stem count and possibly bounce ideas off of another floral designer, but I don’t create a recipe for every single bouquet and centerpiece before I get a commitment from the client. I’ve set some minimums on each piece which I can use as a jumping off point when I create a quote. A professional florist should be able to determine the baseline price for a bouquet based on an inspiration photo and their own pricing experience. Do your centerpieces start at $75? $95? $125?….what is your starting point? What’s your “average”? What’s your “premium” price? When you’re unsure about pricing, you must do the math! Will you use 12 roses, 6 callas and 5 dahlias? Can you make it with 9 roses, 5 callas and 3 dahlias? What’s the price difference in each of these designs? What price will you quote to THIS client for THEIR desired look? What does it cost to achieve their ideal outcome? It’s so important to “think like a flower shop”, as I always say, and think of flowers in retail dollars. Yes, it may take time to learn the “average wholesale cost of snapdragons in August”, but it’s not hard to remember that snapdragons are usually $3 retail or $2.50 or $4….what do you SELL it for? That’s the number to focus on. Thanks for checking out my Real Flower Business “stuff”….keep doing beautiful work! Grab my FREE e-mail course “How To Book More Weddings More Quickly” here! Get my 16 Steps To Client Management HERE in my Wedding Workflow! 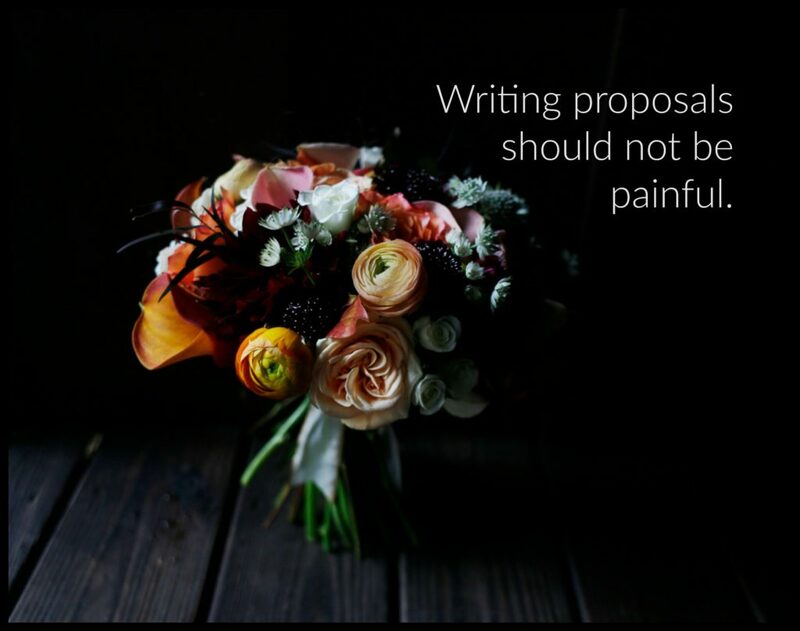 Can Florists Write Proposals Without A Recipe? read it here!